We all love to use filters for our pictures nowadays. 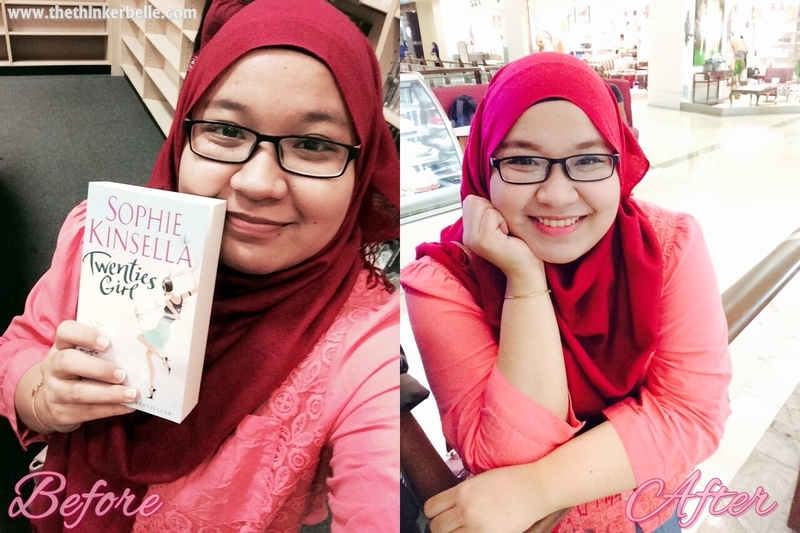 With smartphone apps, there are many types of filters available for use and we especially girls love to use them on our selfie or selca pictures. I mean who wouldn't love it when it's so easy to make own skin looks flawless and smooth with just a few clicks and taps on the screen? It's just like magic! With that in mind, Etude House has created one more interesting product which is the Beauty Shot Face Blur SPA15/PA+ . The name itself already piqued your interest right? I was very curious about this product too so I decided to order them from Korea as it's cheaper there. They're also available in Etude House Malaysia but I'm not sure exactly how much it will cost especially since GST is applied now but it would probably be around RM120. 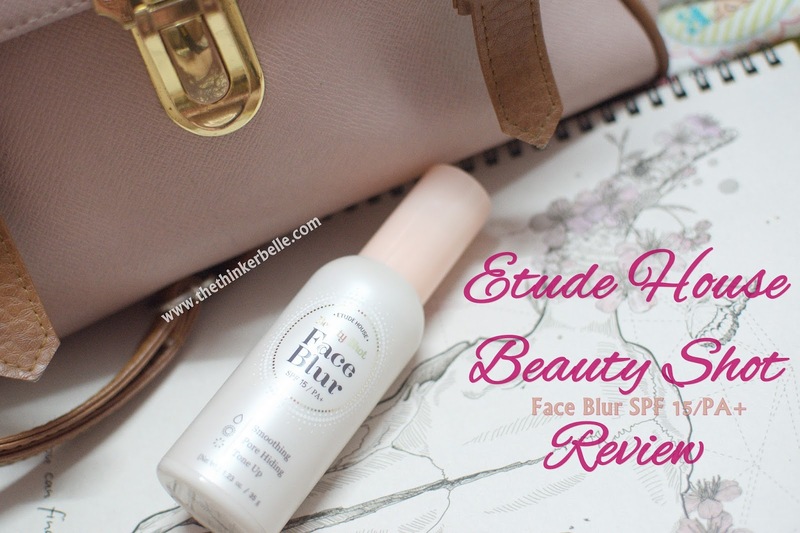 This lightweight cream is used as base or primer that gives skin a smoother and refined look using its multi-blurring effect. 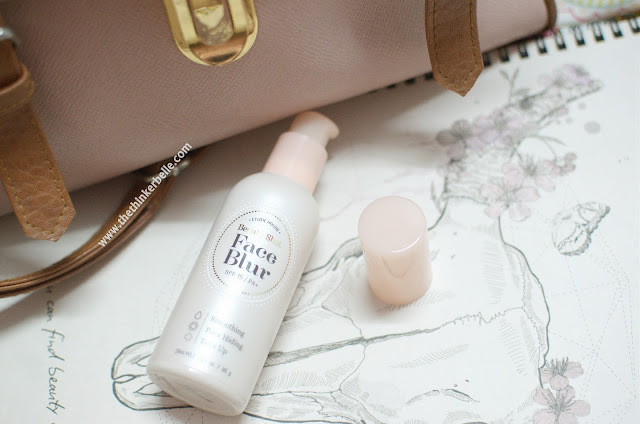 It will also helps to brighten up complexion and help your skin to look almost flawless in pictures. It is a super fine particles that will help to cover up pores and bumps and making skin look smooth. Does not contain silicone gel unlike other primer. 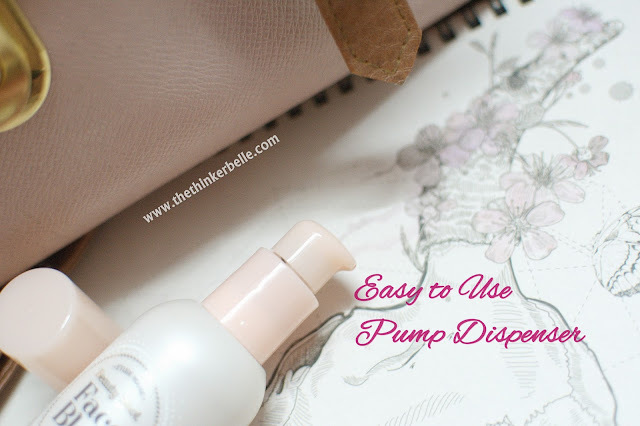 This Airy Skin Powder give lightweight and comfortable feeling on skin. 1. Cover bumps and pores. 2. Softening skin layer like camera filter effect to give smooth and even skin tone. 3. Brighten up skin while looking natural on screen or even in real life. 4. The Baby Pixels and Cover Powder compounds give 3-in-1 multi filter effect like adjusting light on skin. 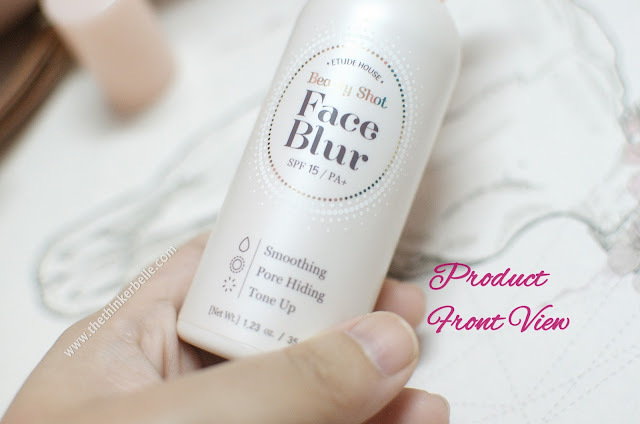 Can be used solely or for a better coverage, apply BB Cream or Foundation after applying the Beauty Shot Face Blur cream. 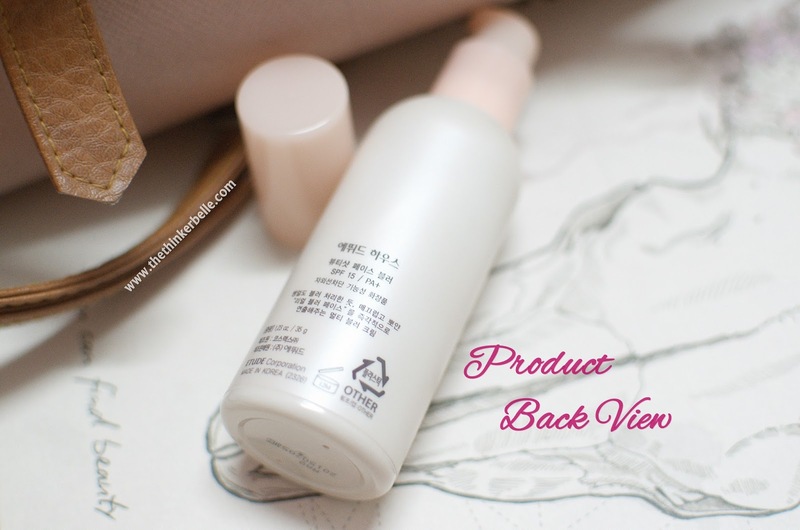 Make sure to smoothly massage on skin for an even application. You can see the difference of the before and after shot, the before is no makeup face and after is when done applying the product. My face looks brighter and like using camera filter! 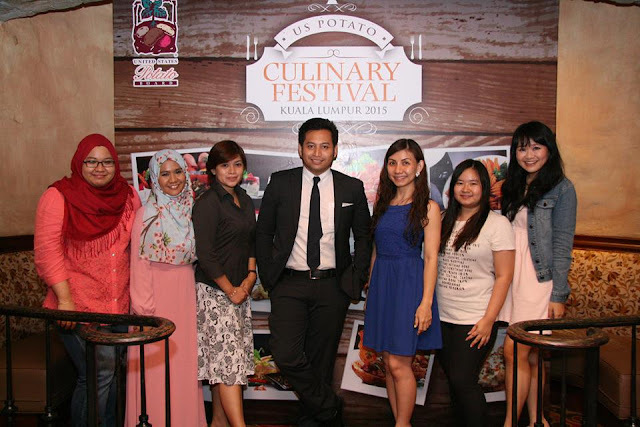 US Potato Culinary Festival KL 2015 - It's ALL About Potatoes! One of my favourite food in the world is my dad's spicy potato sambal with anchovies. They are so good and no one makes them better than him while my mom always make the best beef curry with potatoes; well, at least they both do as far as I'm concerned. We all know potatoes has been a comfort food for so long around the world. I mean who doesn’t love a freshly fried French fries and a soft and creamy mashed potatoes with gravies? But do you realize that there are more than just that to a potato? Like other premium ingredients, with the right skill, knowledge and creativity potatoes too can be made into a dish that is not just unique but also up to par with other glamorous menu. With that focus in mind, US Potato Board has finally launched the second US Potato Culinary Festival Kuala Lumpur for the year 2015 and I was honoured to be one of lucky bloggers to attend it. This festival which will be going on starting from the 1st until 30th of June 2015 is actually a bi annually event and is the continuation of the highly successful first one that was held two years ago. The launching ceremony was held in Sheraton Imperial Hotel and the chefs from a total of 13 top dining venues in Klang Valley which includes restaurants and hotels were there to showcase the menu that had been specially curated for the festival. I was so impressed with the wide arrays of menu and cooking style displayed especially since potatoes was used as the star ingredient of each dish. I mean who would have thought that you can turn potato into a chocolate dessert or use them to make a milkshake? Right? Look at those pictures! I was so impressed with them especially the Crispy US Potato Milkshake; it was one of my favourite that night. I was also told by my fellow bloggers friend that the US Potato Macaroons Bar with Chile Ancho Chocolate was good too. Unfortunately I was already at my potato limit that night to try. You know, that could happen when you ate about or more than ten potatoes dish at one go and even with that there were still more left to taste. Everything just looked magnificent and scrumptious! The Cheesy Layered Beef in US Potatoes Pocket was one of my favourite dish that night. I mean the cheese with the beef and potatoes blends really well to create a very delicious menu. Look at how creamy the mashed potatoes in between all that jolly goodness. This Kerabu US Potato gives a totally Malaysian twist and well I loved it. I mean you can serve me any kind of kerabu and I'll definitely love it. I guess I have a total Malaysian palette and the potatoes tasted so great with all the other kerabu ingredients. Eating the fried potatoes with the sour cream and with all those toppings were just so good. The tomatoes and onion bits especially complement the savoury potato while the sour cream made it taste less oily. I could eat a lot of these! There were some quirky and interesting meal too like this Dog's Dinner which is not exactly a dog's dinner. LOL! It's for human consumption okay. So how was that, quite overwhelming amount of potatoes menu right? Your mind might be thinking just how much calories I had that night eating more than ten different potato dishes. Actually I was thinking just like that before I discovered a super important facts about potatoes thanks to Puan Indra Balaratham, a well-known dietician. Fact 1: Potato when cooked discerningly is in fact one of the healthiest vegetables one can consume. It was mind blowing for me, you know how fulfilling a potato can be; so with that much calories and a correct way of cooking it would be a perfect diet menu. I never thought I would gained so much information in just one night. So if you would like to get a taste of the featured menu yourself you can visit the restaurants and hotels listed above as they will be serving their specially curated menu at their outlets around Klang Valley. They will definitely be using US Potatoes for their dish especially the potatoes are of better quality, taste, versatility and nutritional value thanks to superior agriculture methods, harvesting and distribution facilities from the US. You can also purchase the US Potatoes from all Malaysia leading supermarket and hypermarket to use them in your own dish at the comfort of your own. 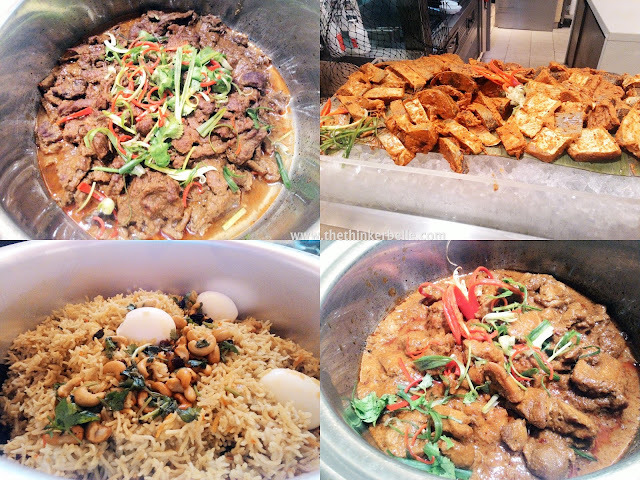 Ramadhan Buffet @ Traders Hotel Kuala Lumpur Experience - It's a Seafood Galore! It would be Ramadhan again soon! How time flies, I thought last year Ramadhan just passed. But hey, with Ramadhan coming along that means we can again look forward to all the festivities especially when it comes to Ramadhan buffet offers! Not just with families, breaking fast together with our colleagues or friends has been quite a norm in Malaysia. I mean what better way to bond other than over food right? 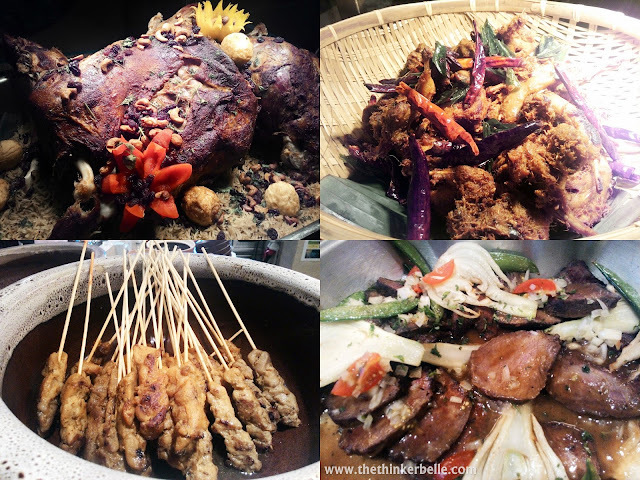 Located at the heart of Kuala Lumpur and just a stone's throw away from KLCC and even nearer KL Convention Centre, Traders Hotel KL is also joining in the fun offering their best menu for Ramadhan 2015. Everything looks scrumptuous from their seafood ranging from variety of crabs, prawns, and other shellfish menus to the tender lamb and chicken. I bet you'll be salivating just at the sight of the foods! Spacious dining area and friendly staffs. Their theme is Selera Malaysia featuring four signature stations which are 'Goreng-Goreng' station, 'Nasi Biryani' station, 'Rojak Sotong Kangkung' station and 'Manisan' station with additional rotating menus on each different days to make sure varieties of choice is available starting from Malaysian favourite menu like chicken curry and beef rendang, or a more International choices like BBQ baked spring chicken, sea bass with salsa and even Japanese dishes like freshly made sashimi and sushi. Now let me stop with the rant and feast your eyes with the selections of food that has rendered me speechless. You know the competition is harsh when I decided to abandon eating rice so I can save a bit more space for more seafoods! More of a 'meat' person? No worries for you as selection of beef, lamb and chicken dishes are also available. The Mandi Lamb looks so mouthwatering good and was like the centre piece of all the menu as soon as I walked in inside the dining area. My favourite is definitely beef slice as shown on the bottom right picture above, so I had them twice! So juicy and cooked to perfection, with a slight pink in the middle. Yummy! There were also beef and chicken satay and fried chicken among all others. 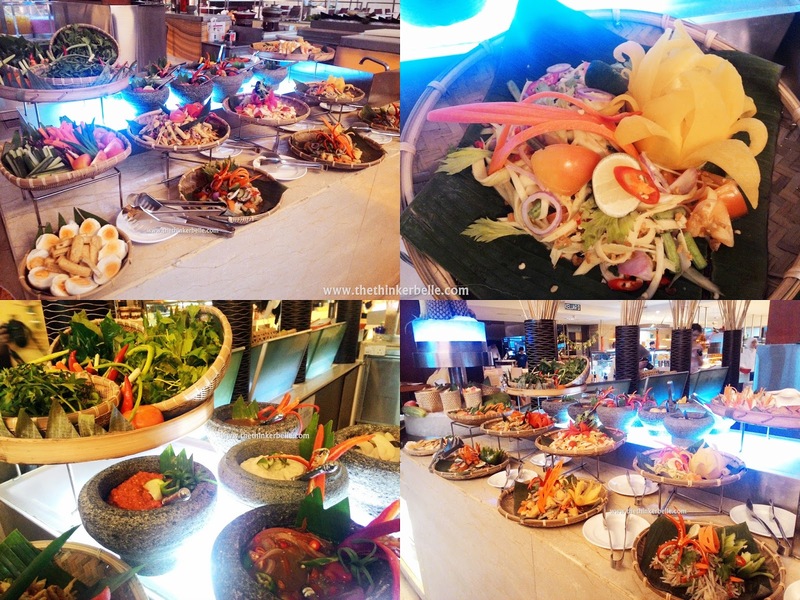 Western vs Eastern style of salad and fresh vegetables and dish are available in the centre island also. For those with want a more traditional taste could choose from selection of ulam (raw vegetables) and selection of Malaysian style condiments like Sambal Belacan, Budu and many more. There are also varieties of kerabu which will definitely pick up your appetite. For a more western taste, you can make your own salad with a variety of dressings to choose from such as olive oil, balsamic vinegar, lemon dressing etc. The selections of seafood during my visit was unbelievably a lot. 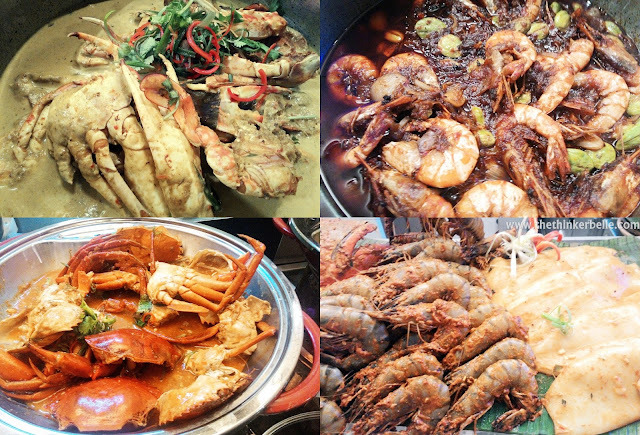 You can choose to start with fresh seafood appetizer or jump straight away into dishes like the Chilli Crab, Fried Tiger Prawn, Masak Lemak Ketam, Sambal Udang with Petai, or even request for a freshly grilled prawn at the grilling counter. The seafood are so good especially the Chilli Crab and the freshly grilled Tiger Prawn. I had so much of it on that day! If it's not because I had to taste a lot of other dishes to be fair in this review I would eat just the crab; and maybe forget all the table manner learned from previous ethics class I attend in school and just start eating them by hand, that's how good it was to me. Oh gosh, I am salivating now! A variety of Malaysian favourite menu are available to choose from Beef Rendang, Beef Curry, Nasi Biryani, and Grilled fish. There will also be a soup of the day and on that day I had the most fulfilling Sup Tulang Daging with the taste of spices and herbs lingers on my taste bud while the soup warmed me up. There were also Chinese dishes during my visit! 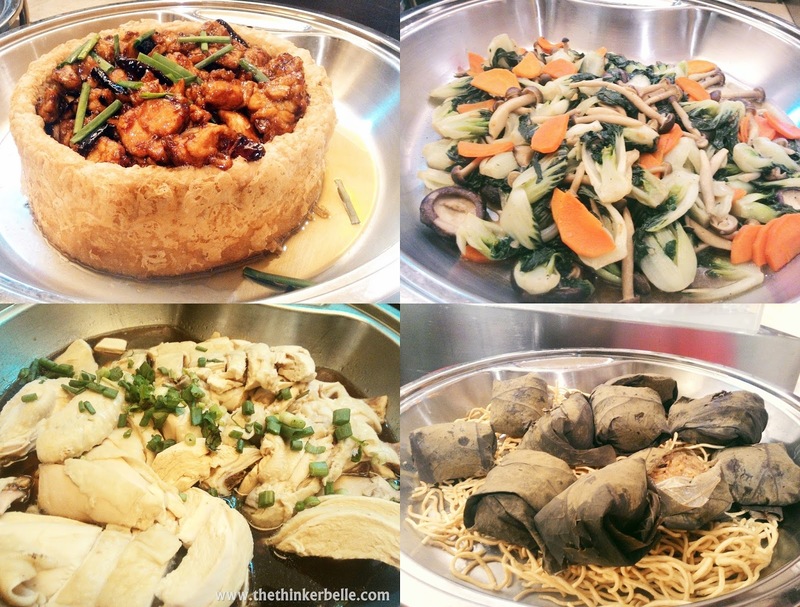 My all time favourite Chinese style stir fried vegetables gladly welcomed me that day, along with other new dishes that I never tried before like the Steamed Glutinous Rice with Chicken and also the interesting Crispy Yam Ring with Chicken. There were also Fruits Rojak, Sotong Kangkung, Rojak Pasembur and my favourite Roti Jala with Chicken Curry. Hmm, now I feel like eating it as the Chicken Curry really complements the Roti Jala well! For people with sweet tooth, varieties of desserts ranging from cakes, pudding and also Malaysian desserts are available. Look at those pretty looking desserts! It's almost a pity to eat. There were also drinks section so you can choose and refill anytime you want. Fresh fruits were also available with variety of types to choose from. I left the buffet filled to the brim! It was absolutely delicious and flavourful. 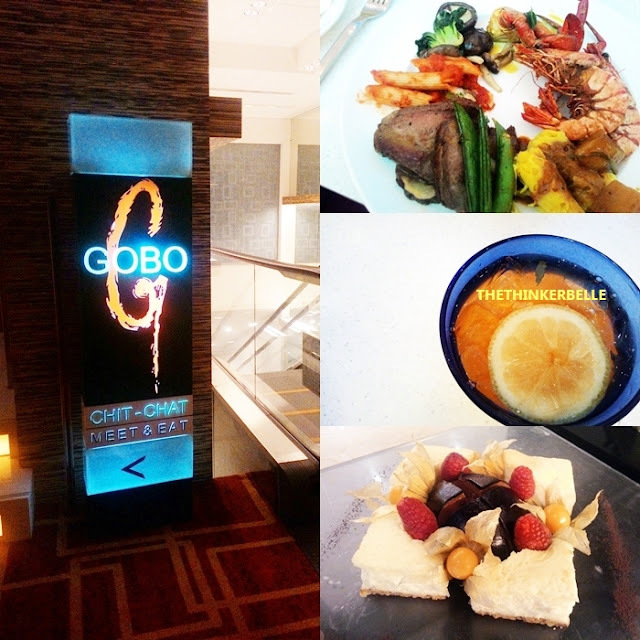 This Selera Malaysia buffet dinner at Gobo Chit Chat Restaurant Traders Hotel KL comes at RM119 nett per adult from 18 to 21 June 2015 and RM129 nett per adult from 22 June to 16 July 2015. Through out this promotion, for every group of six persons, one dines for free and the buffet dinner is available from 6.30PM to 10.30PM daily.